Mushroomhead returns to Lincoln's The Royal Grove this May. | Badass Concert | Heavy Metal Music News | So METAL, we piss RUST! Home News Mushroomhead returns to Lincoln’s The Royal Grove this May. Mushroomhead returns to Lincoln’s The Royal Grove this May. I would have thought Mushroomhead would have dropped off the map awhile back as a couple of their members called it quits. Not the case, Mushroomhead is still in full swing and is heading out on tour. One of their stops is the legendary Royal Grove in Lincoln, NE. I’ve heard tons of stories regarding all the amazing shows from back in the day that rocked The Royal Grove when I was in high school. Of course, I was living in Grand Island, Nebraska, and it was difficult to hear about badass metal shows in the late 90s. The internet was young and the only magazines around didn’t advertise tours much that I could remember. Nowadays, kids have it made, they have a vast array of knowledge at their fingertips. 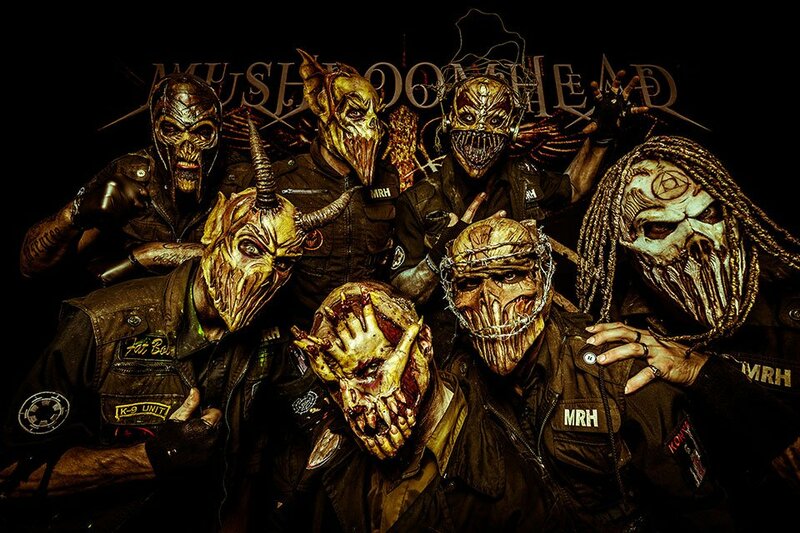 How do you think I heard about the upcoming Mushroomhead gig at The Royal Grove on Friday, May 25th, 2018? Mushroomhead has some great songs, my personal favorite is “Qwerty” from their 2014 release, “The Righteous & the Butterfly”. I’ll post the music video below for your earholes to enjoy. What tour would be any fun without any supporting acts and this tour just happens to have a few bands to check out. Major tour support will be provided by Vyces, Gabriel & the Apocalypse, Ventana, and Align The Tide. There is even some local support with MurderHouse and The Clincher. Here is the link to the official Facebook event details. This is all-ages, doors open at 5 pm, and tickets are $20 in advance. Be sure to check it out! Previous articleUpon A Burning Body and Volumes announce their 2018 spring tour. Next articleSaint Christopher’s REVENGE tour is coming up next month. I advise you to save the date.